This observation occurred way back on June 19th, but I never got around to posting it until now. Dad was doing his duty when he came out at late dusk to check things out for safety. The pups themselves were still too young to be brought out into the open — they were still only two months old. He must have been making sure the area would be safe for Mom. Mom coyote was still lactating, and her survival was necessary for the survival of the youngsters. 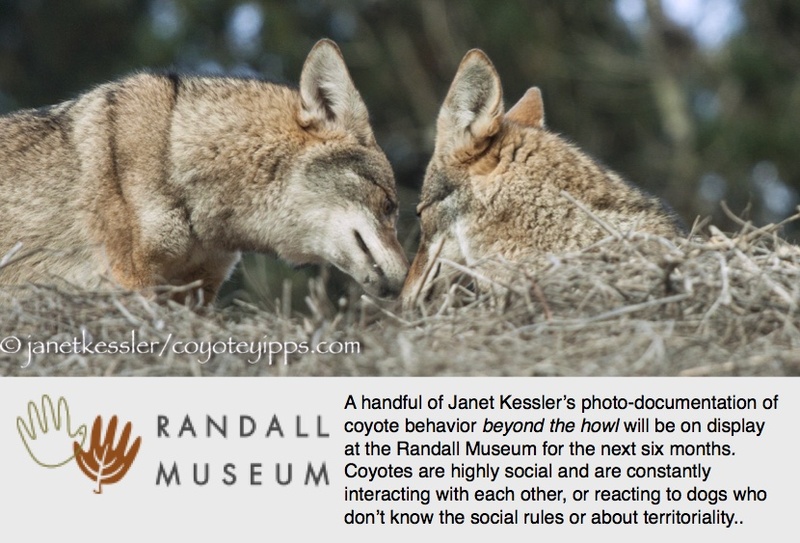 Coyote family members watch out for each other. Dad came to the crest of a hill and looked in all directions. Mom stayed at the bottom of the hill assessing the situation for herself and looking towards Dad for any signal of danger he might give her. Dad indeed had heard some voices and saw SOMEthing, and Mom knew how to read his body language. She hurried back to the safety of the bushes and he followed soon afterwards. She hurries down the hill and away from danger. I went looking for what the disturbance might have been. I only had to walk a few paces to where, because of the darkness, I could barely make out two fella humans sitting on the ground by some rocks next to the path the coyotes would have taken. They were talking in barely audible soft, hushed voices. I don’t know if Dad coyote had heard them, smelled them, or seen them. I myself had not heard them or seen them (or smelled them!) in the quiet of the evening, and would never have known they were there if it were not for the revealing coyote behavior — the same behavior that Mom coyote could read about Dad.